﻿It is a reality today in most houses the cables are a big issue, first at an aesthetic level, because it is shocking to see wires hanging everywhere, even if there are children at home, by the danger that may stumble and fall and even if we have pets because sometimes have a penchant for biting, come what may, cover and conceal is one of our goals, having verified that it is impossible without them. 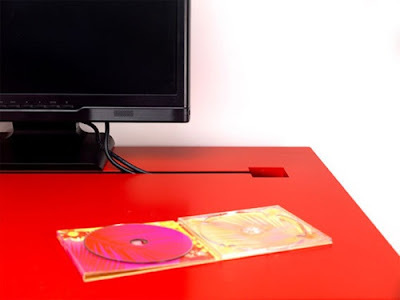 Desk is the name of this table designed by Jennifer Newman intended to solve, at least in part the problem is the computer desk that has a hollow guide that crosses and a small hole through which wires down to the plug which is usually behind the wall, a similar idea for the TV cabinet and more, get organized and cover most of the cables at home. 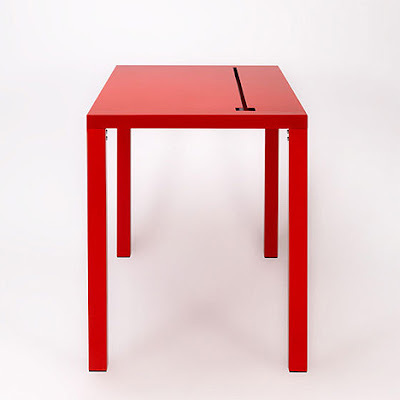 There is always the possibility of buying a normal and boring table ourselves, in the case of the furniture is quite normal for the tail plate is punched to get cables to the wall, usually at the tables down the cables in the back or side, but if we can download them directly in the middle, avoid a major tour and got that look a lot less.